As I posted at Bagatellen, I've decided to take a break from writing reviews for 2008 in order to spend more time on the Rowe biography. I figure between there and here, most musicians/labels who otherwise might send things will be made aware and act accordingly. As I said on Bags, I really, really hope someone will take up the slack. Or several someones. It'd be a shame if coverage lags. Edgar Varese - Arcana, Ameriques, Ionisation, etc. (Sony). The Boulez recordings with the NY Phil. For some reason, I didn't have any Varese in my collection, though I'm pretty familiar with all the works here. He's never really connected with me, though I respect the music greatly. Luigi Nono - Fragmente/Hay Que Caminar (Montaigne). Arditti Quartet. Been similarly on the fence about Nono's work, tending to enjoy the coloration but not so much the structure. Need more listens, though. 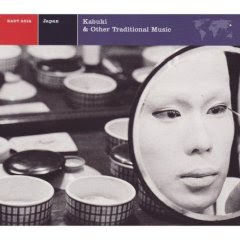 Ensemble Nipponia - Kabuki & other Traditional Music (Nonesuch). Fantastic, beautiful recording from 1980, just reissued on the Explorer series. Great stuff. 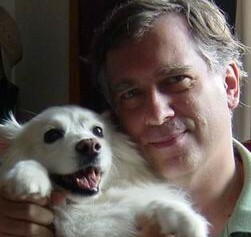 Varese is really worth spending some quality time with. I also picked up all the Boulez recordings accross a number of individual cds. But I really recommend just getting the double CD Complete Recordings that Chially recorded. Reasonably priced to get all of Vareses woork. Stunned that you are not immediately taken by that version of Fragmente Brian, one of my favourites of all time. Well, give me time with the Nono. I do plan to continue activity here as always. Careful what you wish for, though--next in line on the vinyl hit parade is a massive dose of Willem Breuker. Yuko just asked a publisher she knows about licensing the Rowe book in Japan. no luck, Keith's evidently not well known enough there, but we're working on some stuff along those lines, we'll see. I got to admit I'm not as into Nono as many either. I mean there are things I like well enough, just not as many as some. That being said I do happen to like that particular recording. I'll always have time for you, Uli.